Back on February 24th 2009, there was a major outage of Google‘s on-line mail service, googlemail, or gmail as it was originally called. I posted an article covering this back then. 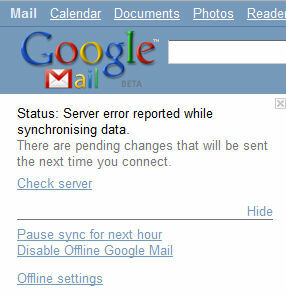 Today Googlemail had another outage – it is still down as I type. Indeed the Twitterverse is rapidly filling up with tweets mentioning #googlemail and #fail. While a very wide range of people use Google’s mail service and this hiatus may be no more than an inconvenience for many (and an excuse to tweet for others – not that many people need one of these nowadays), it is more serious for people who rely on Googlemail professionally. At one end of the spectrum are those organisations who have outsourced their corporate mail to Google. That is where mail to and from john.smith@bigcompany.com is actually supported on Google’s infrastructure. But it is also bad news for the many independent consultants who rely on Googlemail for communication, be that with a googlemail.com extension, or (in the same way as with large companies) using ace.consultant@mycompany.com. In many ways communication failures may be more serious for this second group. Customers of large organisations will probably come back again, but consulting opportunities may be missed and deadlines lapse for the want of e-mail availability. 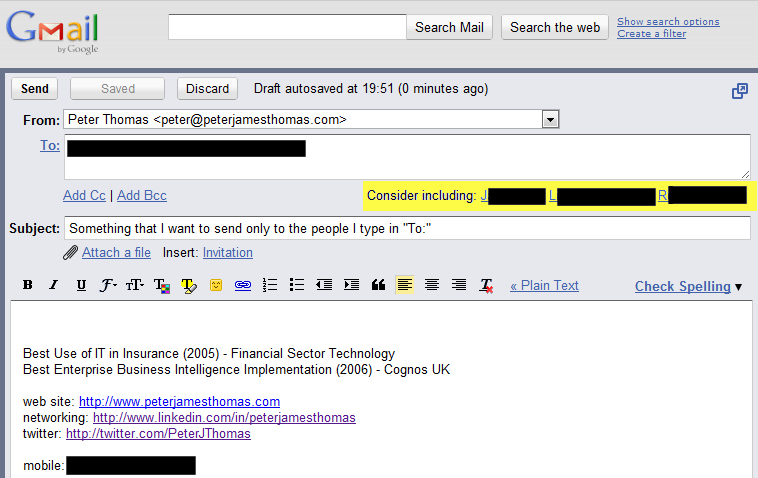 Before I spread too much doom and gloom, I should offer the perspective that I have never come across an e-mail system (corporate or otherwise) that didn’t crash sometimes, the beast just doesn’t exist. However, Google are a victim of their own stability. Because Googlemail is reliable 99.9% of the time (I have no idea about the real value, but would assume it is in the high 99s), we come to expect it to be there, even though it is essentially free (OK subsidised by in-line advertising if you will). The very fact that the service is very reliable makes it even more annoying when it fails. No one grumbles much when twitter.com doesn’t work, because it is always failing. Perhaps Google’s strategy should be to have more frequent problems with Googlemail, so that users expectations are set at a more realistic level.